The Bottle Rocket from K2 is the freestyle arm of their volume shift range. The volume shift boards are shorter in length with the same volume as your regular board. 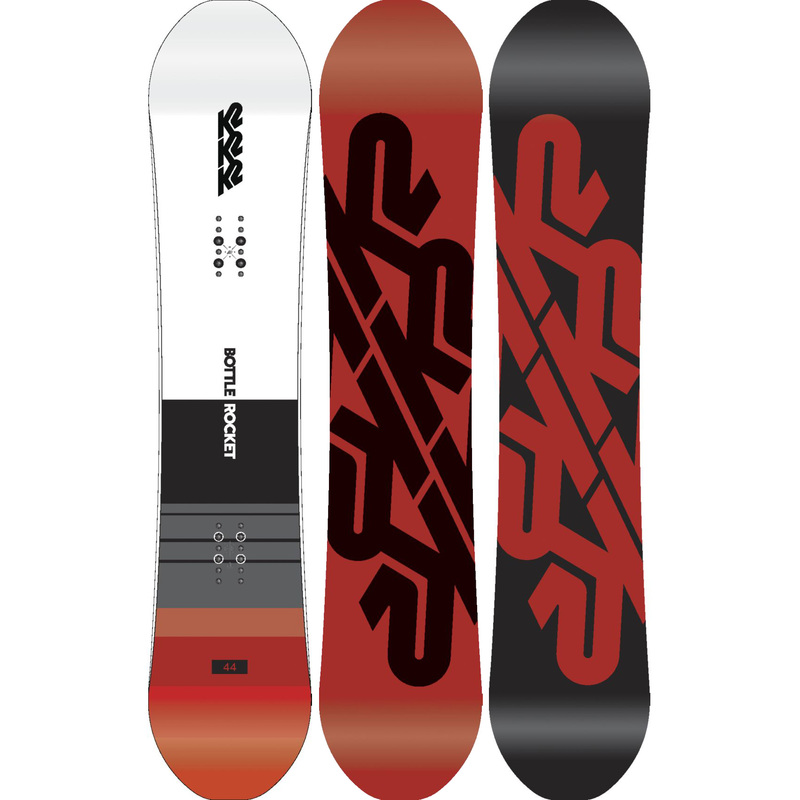 K2 achieve this by adding the volume to the width of the board meaning excellent float in powder on a shorter board, a more nimble feel and a really surf inspired ride. Another plus is if you are a bigger foot rider you do not necessarily have to ride a wide board. The Bottle Rocket adds some freestyle flair into the Volume shift range with a true twin profile and centred stance with tons of additives for excellent pop and response. Added in are a preloaded with camber ollie bar which is recessed into the core of the board to give amazing pop to your ollie. That isn’t all either K2 then throw a ICG glass layer in with 20 tip to tail carbon stingers for improved response without making the board stiff, 6/10 on the flex scale . The bottle rocket is a true all mountain freestyle board that just simply buts a smile on your face. Ollie Bar – A carbon bar preloaded with camber which is recessed into the core for tons more pop!